Using HubDuino, you can very easily use the IS_Motion device to implement a motion sensor. No need to use a IS_Contact sensor for that. Take a look at the following example sketch to help get started. Dan, I briefly tried using an IS_Motion device but without success. Didn't behave the same as a contact. I saw something in the console about a 30 second calibration period and figured that the IS_Motion device is meant for devices that behave differently from a simple on/off pattern. You can safely use the motion device. It does have a 30 second startup pause on reboot, but you can ignore it. It doesn’t really do anything other than wait 30 seconds before sending the initial update. Afterwards, it is just as responsive as the contact sensor. The 30 seconds is in there to allow PIR motion sensors time to settle upon power up. Update: You will need to tweak the parameters passed into the IS_Motion constructor to enable the internal pullup resistor and to set whether to trigger on HIGH or LOW. Read the documentation in the top section of the .h or .cpp file to the IS_Motion device for details. Multiple libraries were found for "Servo.h"
//          implement a multi input/output custom device for integration into SmartThings. //          as well as all communications with the NodeMCU ESP8266’s WiFi. String str_ssid     = "xxxxx";                           //  <---You must edit this line! String str_password = "xxxxxx";                   //  <---You must edit this line! IPAddress ip(10, 0, 2, 69);       //Device IP Address       //  <---You must edit this line! IPAddress gateway(10, 0, 0, 1);    //Router gateway          //  <---You must edit this line! IPAddress subnet(255, 255, 0, 0);   //LAN subnet mask         //  <---You must edit this line! IPAddress dnsserver(10, 0, 0, 1);  //DNS server              //  <---You must edit this line! IPAddress hubIp(10, 0, 2, 38);    // smartthings/hubitat hub ip //  <---You must edit this line! //           corresponding header (.h) and program (.cpp) files. //           to match your specific use case in the ST Phone Application. //Execute the Everything run method which takes care of "Everything"
Be careful with the double quotes. The ones in your sketch don't look quite right to me. In the Arduino IDE, remove and replace each double quote, save, and rebuild the code. Some text editors mess those up to make them look pretty. The C compiler prefers bland and boring. Wow I didn't see that. What do you know...it worked! I have now officially moved the last of my ST devices over to HE. After I get the RM rules to run I will be shutting down ST. Woot! To clarify Dan, the IS_motion reports as Active for 30 seconds, correct? If I wanted to swap that and have it report INACTIVE for those 30 seconds, I would swap active for inactive in this part of the IS_Motion.cpp, correct? The reason I ask is that when there's a power "hiccup" any lights I have tied to the motion sensors turn on since it reports as active. I take care of that through my power failure recovery automations, but it would be a lot easier if I could just swap it in the boards code. I hesitated changing it before because I didn't want to break anything else. I am a little confused at exactly what you're trying to accomplish. There is a 30 second timer when the board first powers on, to allow the motion sensor to calm down after being powered on. During this time, I do not believe anything is sent to the hub. Once the initial 30 seconds is up, the GPIO pin is evaluated and the IS_Motion class sends either 'active' or 'inactive' depending on how you've declared the device in your sketch. Here is the documentation for the IS_Motion device. As you can see, the thrid argument can be used to invert the logic if needed. The IS_Motion device will report status updates to the hub as fast as the digital input changes. There is no logic to hold the signal 'active' or 'inactive' for 30 seconds. The 30 second logic is only true during power up. If you can explain what you're seeing, we can take a look to see if there is a potential workaround. Also, what type of motion detector are you using? As soon as I power on the board motion goes active. No matter whether there is motion or not. I'm asking if whether during power-up, can it be set to NOT send active. The sensor works 100% perfect the rest of the time. My question is specifically about powerup. Sorry if that wasn't clear. Maybe you didn't notice, but this was in response to a specific post a few back asking about the 30 second boot-up (or powerup). I thought I clicked respond to that one so they would link. I am seeing that it reports active as soon as power is applied to the board, whether a sensor is connected to the pin and whether I have HIGH or LOW in the constructor. If you'd like, I can review your sketch to see if I can figure out what is going on. Just remove your WiFi credentials and post it here and I'll gladly take a look. This is with no sensors even hooked up. And when I hook them up and reboot the board, when I can't have the monitor hooked up, the lights that repsond to those two motion sensors turn on. String str_ssid     = "Caslerville";                           //  <---You must edit this line! String str_password = "toomanysecrets";                   //  <---You must edit this line! IPAddress ip(192, 168, 1, 108);       //Device IP Address       //  <---You must edit this line! IPAddress gateway(192, 168, 1, 1);    //Router gateway          //  <---You must edit this line! IPAddress subnet(255, 255, 255, 0);   //LAN subnet mask         //  <---You must edit this line! IPAddress dnsserver(192, 168, 1, 1);  //DNS server              //  <---You must edit this line! IPAddress hubIp(192, 168, 1, 12);    // smartthings/hubitat hub ip //  <---You must edit this line! How are your sensors wired? For a HIGH interupt or LOW? Could it be because the pin is floating for that period of time? The sensors I have are HIGH so I can't use the internal pull-up, cause it will always read active, right? The sensors are simple HC-SR501's. They output 3.3v on active. 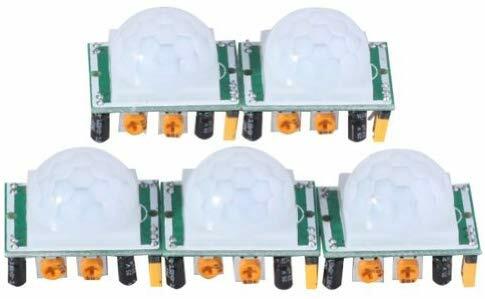 Those are the same type of PIR Motion sensors that I have used previously for testing. Having Internal Pullup disabled for those makes sense, as they drive the signal either High or Low (no floating signal). It is important that jumper(s) on those devices are set correctly. ST_Anything expects a continuous HIGH or LOW to be emitted for ACTIVE or INACTIVE, repsectively. We do not want a pulse-train when active. So, when testing on the workbench, make sure you tie the GPIO pin for both of these IS_Motion devices to GND while booting up and running, and the board should report 'inactive' for both devices. Then tie them to 3.3v, and the board should report 'active' for both devices. This is the exact test I ran earlier. Floating signals are almost always bad. Thus, the need for the Internal Pullup on the magnetic contact sensors, which are simple dry contact magnetic reed switches. The internal pullup keeps these pins at 3.3v, until the switch is closed, which shorts the pin safely to GND. Thus we get the two states, even though the switch cannot drive the signal high. If you still see the Active/Inactive happening on the workbench, with both pins pulled low to GND during startup, I would have to suspect that your copies of IS_Motion.h/.cpp have been modified in some way. Maybe try grabbing a fresh copy from GitHub? 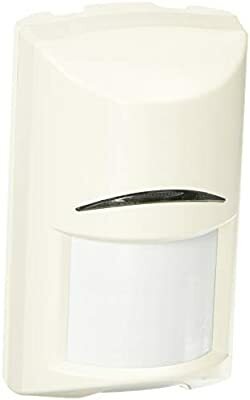 BTW - I have never had one of those super inexpensive HC--SR501 PIR motion sensors last reliably for more than about a month before locking up. I now use this motion detector with HubDuino. It requires external power, and has a dry contact output, thus requiring the use of Internal Pullup. Since switching to this, I have had zero false activations. BTW...once you said you weren't seeing it, I had to post it to prove I wasn't crazy. So, here's the really crazy part...I tied just D5 to gnd to test it out. Thinking that motion 2 would go active and motion 1 wouldn't. But this time, neither of them went active. I think that proves that the sensors are leaving the pin floating a little longer than my board is expecting. Or maybe it's cause I have a longer line running from the sensors to the board. In either case, I've already adjusted for it in my "recovering from power loss" piston (yes, I know it's a dirty word but I like variables) so it's not a big deal. I was just wondering if there was an easier way to address it, that's all. They work perfect almost 100% of the time besides that. Oh, and since moving to Hubitat the response time on them is about 1/5 what it was with ST. Local rules! LOL Thanks. Edit: I've had 5 of them all over my house for over a year without a problem. The 30 second wait on startup should provide plenty of time for the sensor to output a signal before ST_Anything sends anything to your Hubitat hub... You could increase this to see if you're somehow on the hairy edge, timing-wise. Just modify the 30000 in the IS_Motion.cpp to something larger, like 60000 ms. I'll give that a shot....thanks. And yeah, those sensors look a lot better but these are all just for lighting, not security. If they lock up, i've got 3 or 4 of them left from the batch that I bought. For $2 each, how can you go wrong? First floor ones for security/lights are wireless. BTW, I tried it out with 60000 too and they still went active on me. No sweat. Thanks for trying! Sorry to bug you...but I had a question about the servo library. I'm trying to switch over from using my pieced together blinds sketch to using the servo capability but I'm not finding a good way to adjust them other than going into Hubitat and entering the set level number manually or using a slider on a dashboard. Preferably I would want to move them in one direction while one button was held and in the other direction when another button was held, I tried to add the Level Change capability to the servo child driver but that very quickly proved to be WAY beyond my capabilities. BTW, both buttons are on the same board, so I could do this with a callback also. Any tips? I was going to use standard Arduino button language but I couldn't really decipher where the servo level is stored (what constant or variable) to be able to adjust it with the button press. Any advice you have would be appreciated. If you could help me figure that out, I think I could start to work on something. ...but I had a question about the servo library. Hi Ryan. Sorry for the slow response. The Servo support is currently minimal, at best (as you have figured out.) I added it for a ST user who insisted he was going to DIY his own smart air vents. I literally implemented the simplest solution I could that met his requirements. In the process, I realized that proper servo library support would be very difficult to implement in the current architecture of ST_Anything. I have never spent the time to wrap my head fully around what it would take to handle these properly, in a manner than prevents making blocking calls which messes up the network communications. This is the same issue that is faced for the Neopixel LED strips. I wish I had better news, but at this time, I just don't have the time or energy to focus on what might amount to an overhaul of ST_Anything. It might be better to focus energy on OmniThing as my son has already taken into account many of the design limitations of ST_Anything when he designed OmniThing. Any idea if Daniel plans on implementing servo capability anytime soon? Thanks. He supports Servo capability already in OmniThing. I am just not sure what he has will accomodate your requirements. You'll need to ask him directly.